Our evaluations not only regard the current market value, but also rely upon the flow of pricing, supply and demand, and our proven selling strategies. We are a modern company with an online presence fueled by professional photography and custom websites for each home. We offer high-end virtual experiences that let a buyer explore a home in depth, no matter how far away they may be. Maximizing exposure is the key to success. Listing your home on the open market with an agency is a big decision. Your brokerage should showcase its representation, professionalism, and thoroughness from the initial meeting through the closing. At Red Tree Real Estate, you see a clear difference from other brokerages; we offer an aggressive advertising budget, excellent showing packages, and an agent representing your property at every showing. We recognize that different kinds of property call for different selling strategies. Investment properties, condos, and commercial properties rely more on the financial value than the personal significance of the home that “takes your breath away.” Single family homes require a different technique: professional photography, virtual tours, staging, and catered open house tours, all while working to narrow the gap between a financial decision and an emotional purchase. Matterport 3D Showcase can provide your listing with an immersive virtual experience that allows a buyer to digitally walk through the property from their phone or computer. This feature can be particularly beneficial for out-of-state and foreign investors. We offer optional aerial photography that can provide unique perspectives of your property. Drone photography can speed up the selling process by providing more visual information to potential buyers. We work with several talented and trusted staging companies who can work within any budget to meet your needs. A stager can help transform your listing into a place that a buyer can easily picture as their own home. Finding the right contractor for your job isn’t always an easy task. 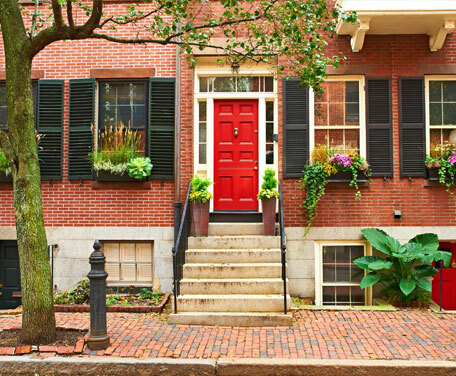 Red Tree has an established list of cleaners, handymen, contractors, and more to get your property into show quality. In addition to online publishing, we can also feature your property on TV. See your listing on Xfinity On Demand in Brookline or on CBS channel 4 with an included walk-through. We ensure that each open house tour is stocked with the most up-to-date marketing material to make the best impression with buyers. We offer weekend and weekday open houses to cater to potential buyers’ schedules. List with Red Tree Real Estate!